Put the squeegee down... Prime Time Window Cleaning is by far the best window cleaning service in Chicagoland. Is cleaning windows a 'pane' for you? Let Prime Time service your window washing needs. on Home Advisor — 4.5 Star Average Rating! Prime Time’s professionally insured window cleaning team can handle any size or type of property. We will arrive with all the necessary equipment, including drop cloths and other materials to keep your property clean while we work. Best of all, our work is completely guaranteed. Join over 40,000 customers in the Chicagoland area who depend on Prime Time Window Cleaning to care for their largest investment! Quality work and experienced cleaners have helped us service over 5,000 customers a year. We approach every home or business with the desire to do the best job possible. 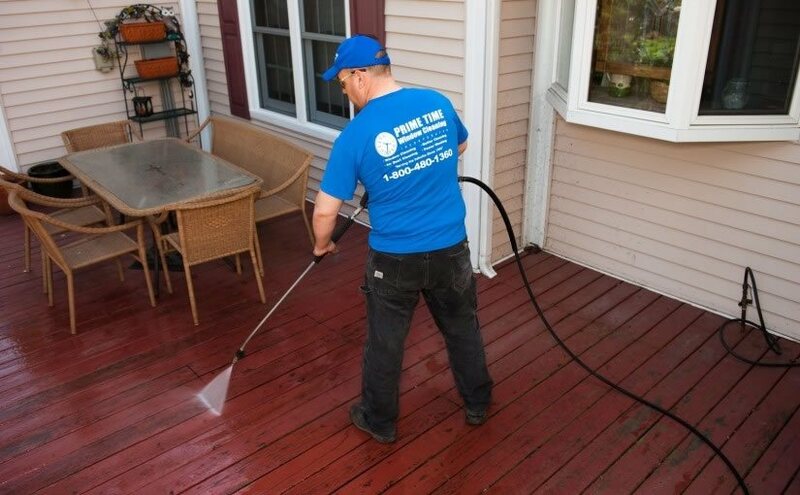 We strive to assure that every customer has a pleasant experience, from the time you schedule your appointment until the last window is cleaned. Window cleaning is important for a variety of reasons. It enhances the value and curb appeal of your home, lets in more natural light which is a greener alternative to light bulbs, warms your home, and extends the life of the window itself. Clean windows are both an aesthetic choice and necessary maintenance function for the appearance and purpose of your home. Hiring a professional to clean your home’s windows guarantees you quality work, lasting results, and takes the responsibility off of you as a homeowner. Cleaning windows is a potentially dangerous job, particularly if you are dealing with a building that is more than a single story. Our professional window cleaning Chicago service has the equipment, experience, and trained professionals to get the job done, and get it done well. Prime Time Window Cleaning has served the greater Chicago area since 1996. 20 years of experience providing the highest quality service, professionalism, and results to Chicagoland home and business owners. We pride ourselves on those 20 years of service and the individual care and attention we have given to each and every one of our clients. 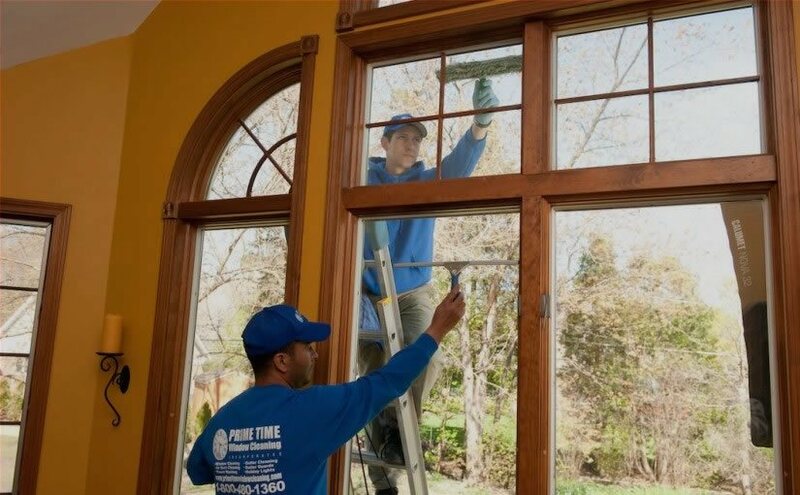 Your home is your biggest investment, so invest in its care and maintenance with Prime Time Window Cleaning Chicago. We guarantee our work to your satisfaction, or you don’t pay. Call Prime Time Window Cleaning to schedule your appointment today!